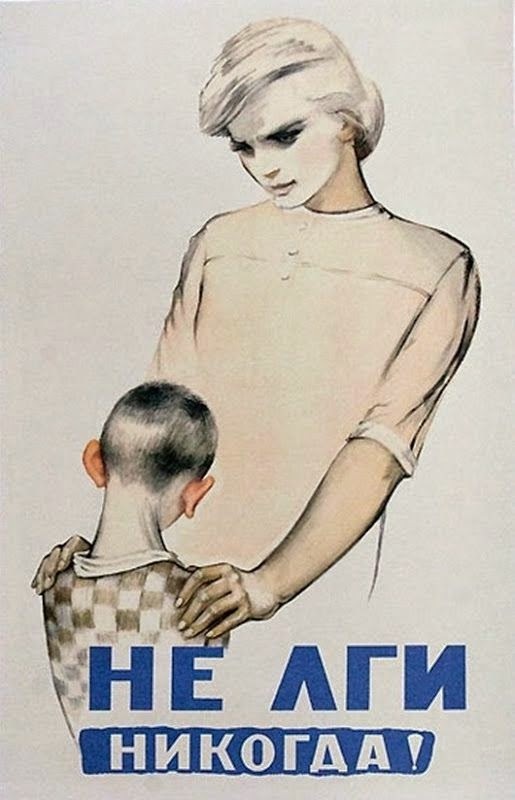 English Russia has posted some Soviet propaganda art. Here is one with the mother telling the boy: "You never lie." "Son, don't say there will be food tomorrow." "Son, don't tell the Americans you will abide by the treaty." "Son, don't tell the NKVD that you didn't see our neighbors hiding food." I suspect this lesson was removed from the common core by the time our dear leader was being home-schooled by F. M. Davis.